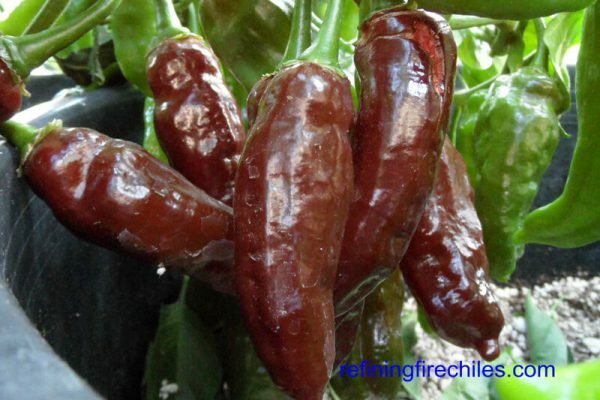 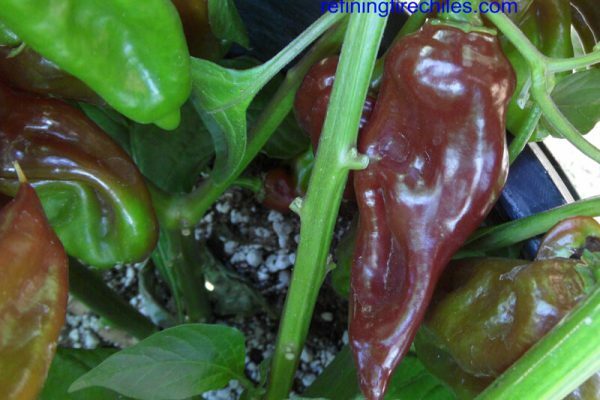 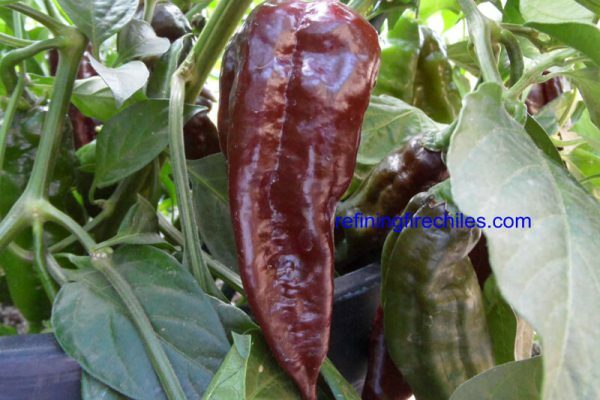 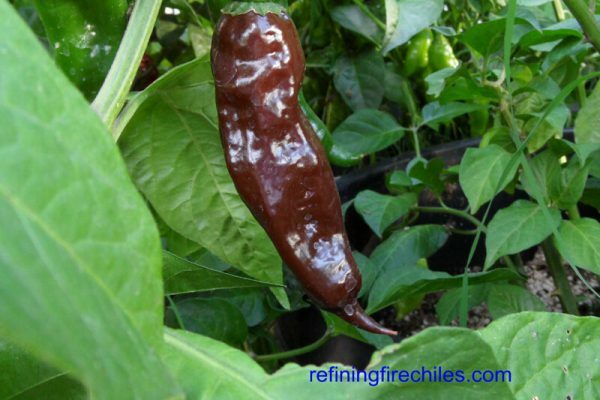 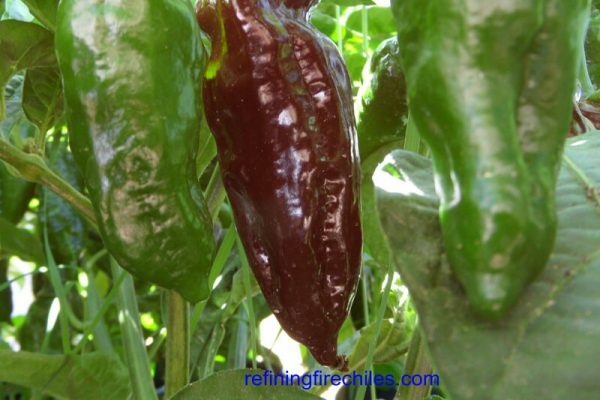 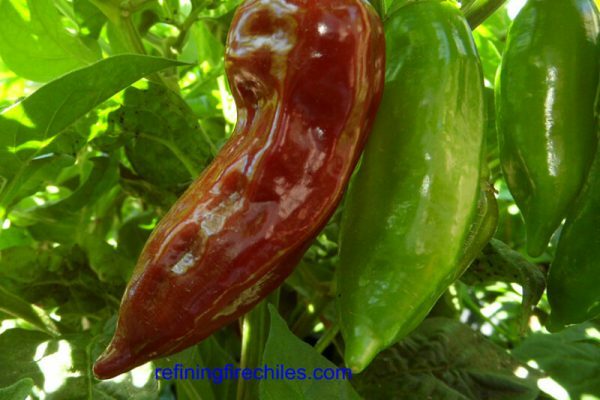 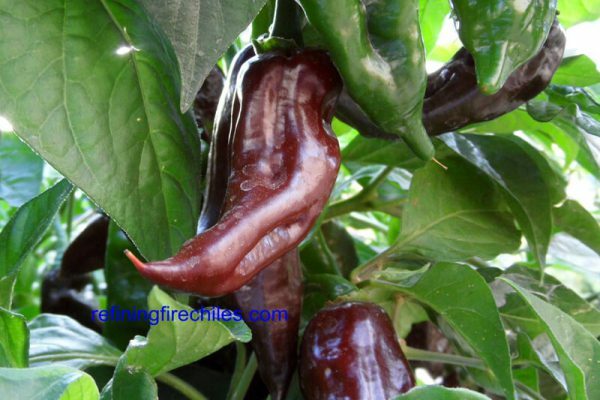 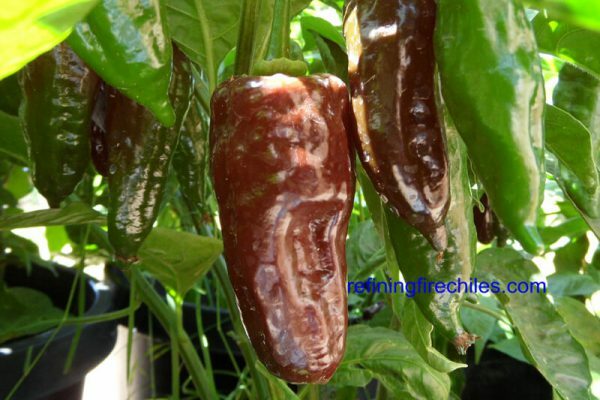 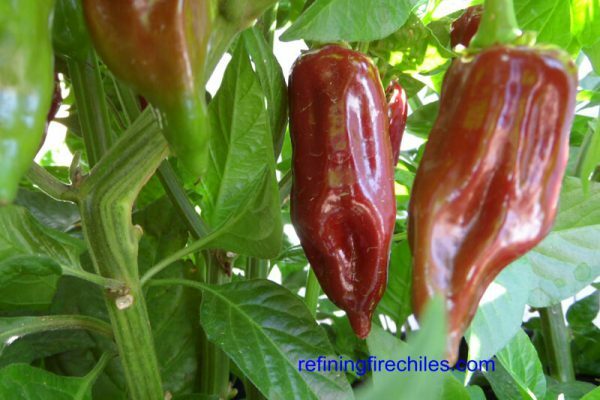 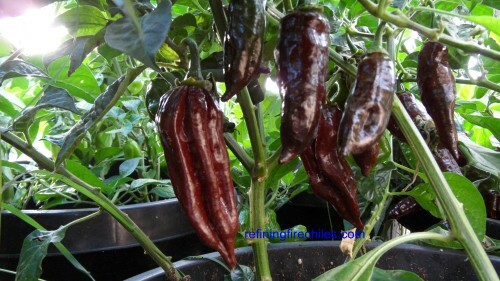 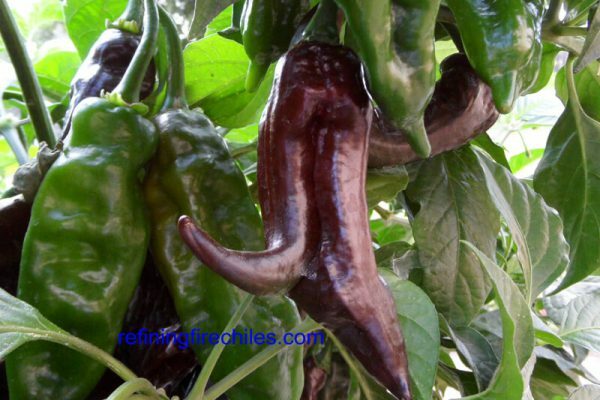 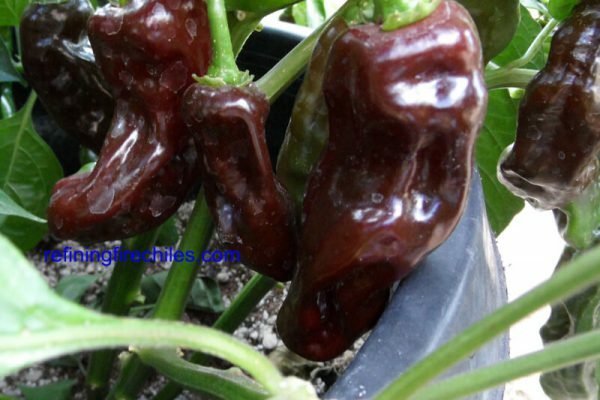 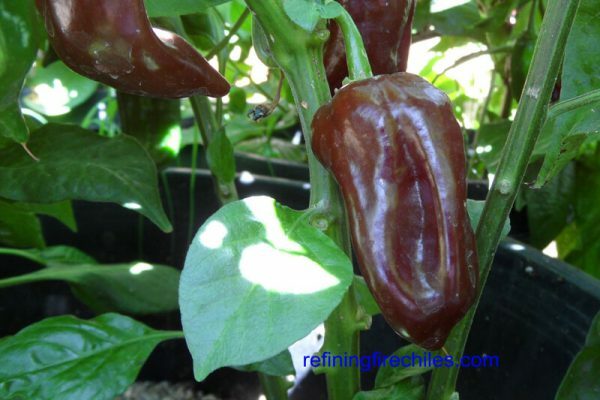 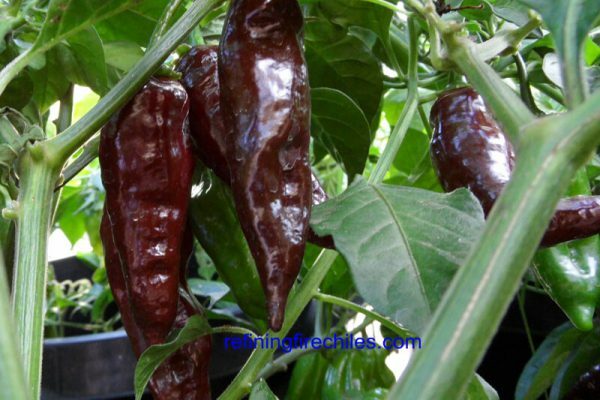 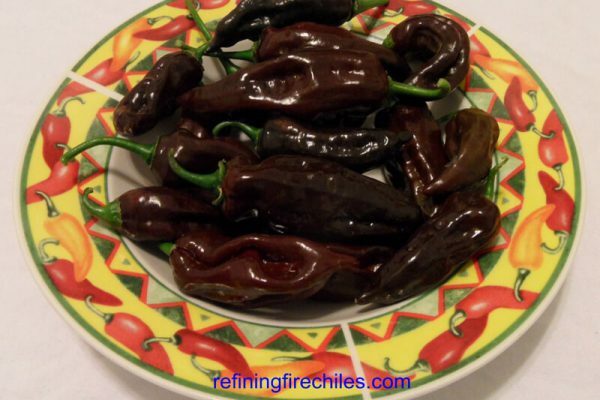 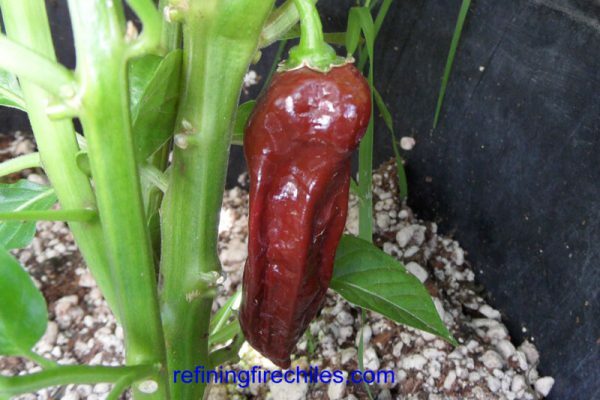 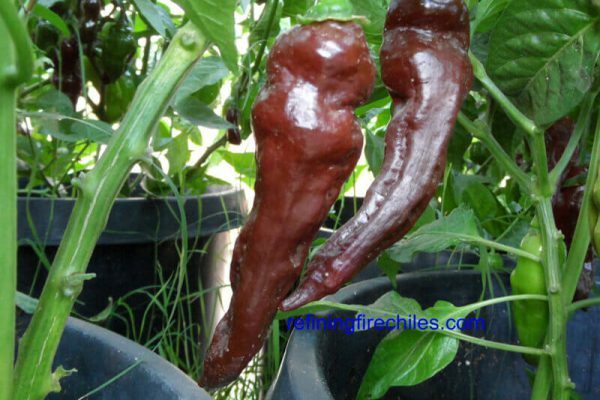 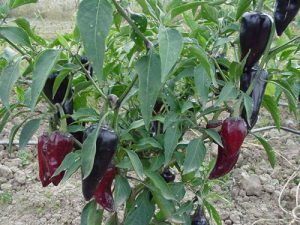 A new chile grown for 2010 that is not amongst the hottest but may be one of the tastiest. 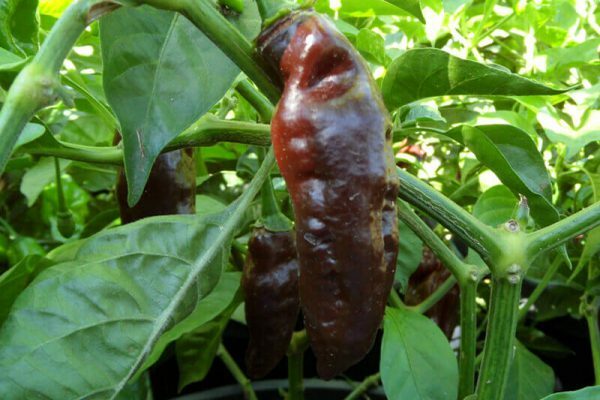 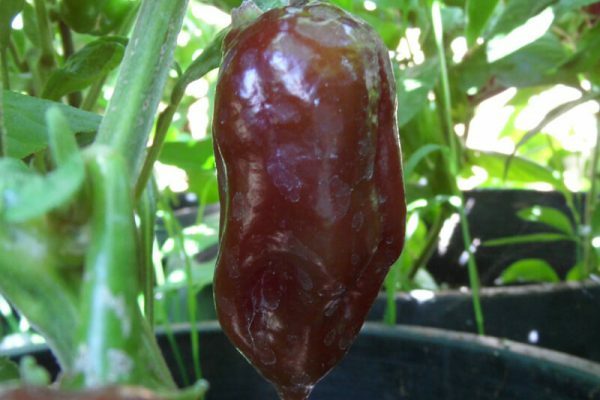 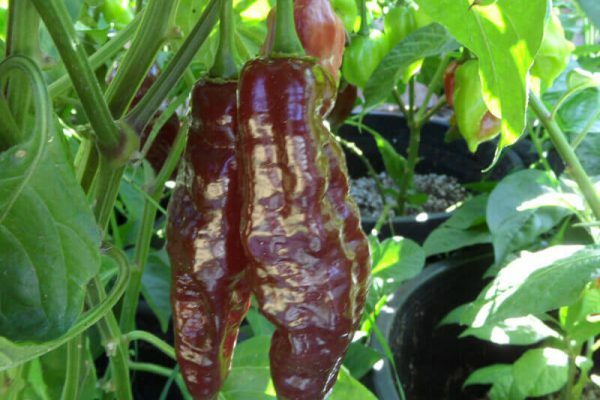 It was originally developed by a European grower that crossed a Clavo with a chocolate habanero. 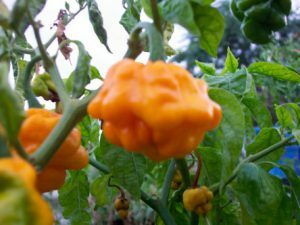 A Clavo is a more milder version of the Fatalii. 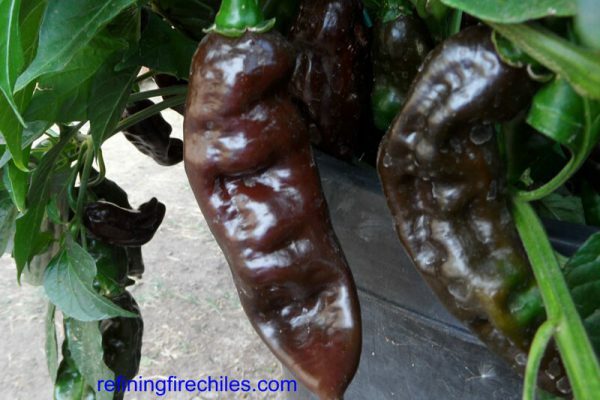 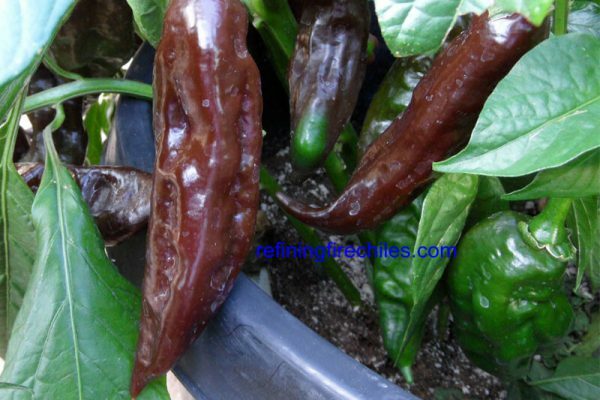 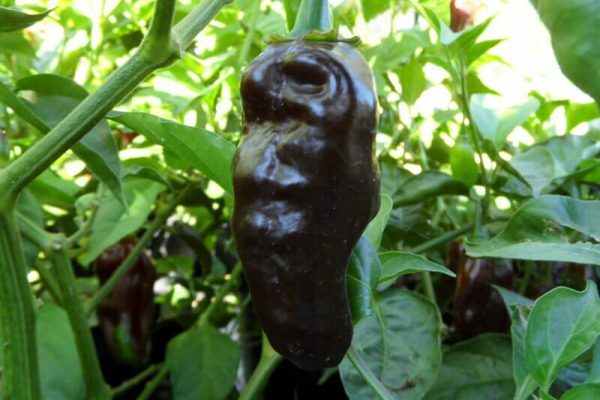 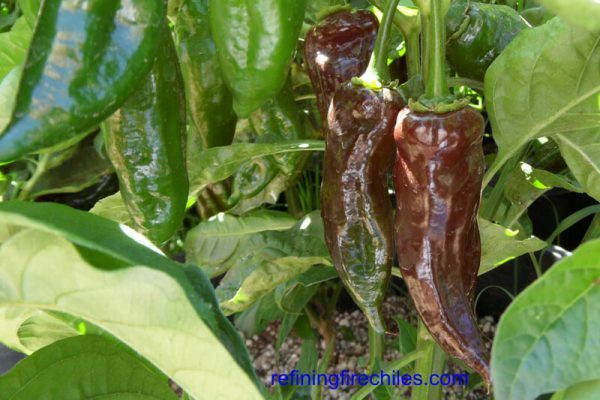 These peppers mature from light green to a dark brown. 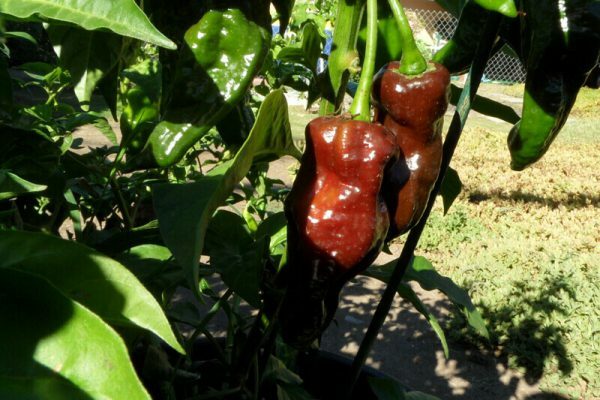 They are between 2-6 inches long and resemble a mini-Anaheim or Big Jim. 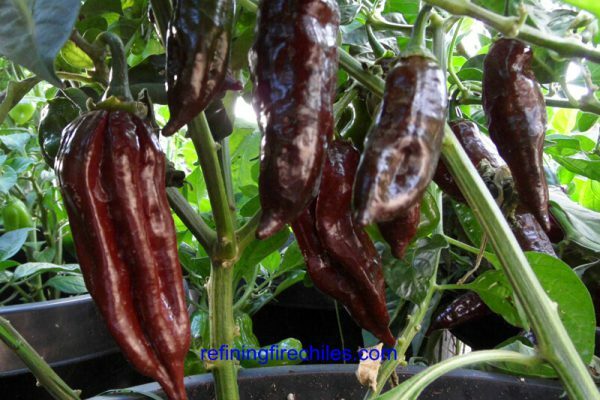 Heat level is like a medium chinense variety. 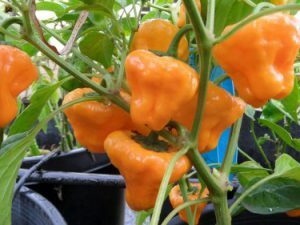 They get big enough to stuff!! 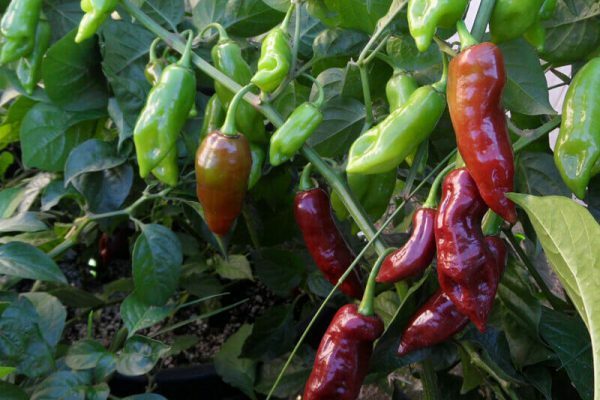 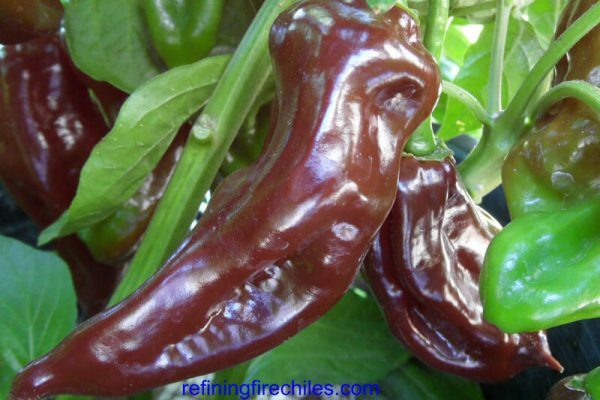 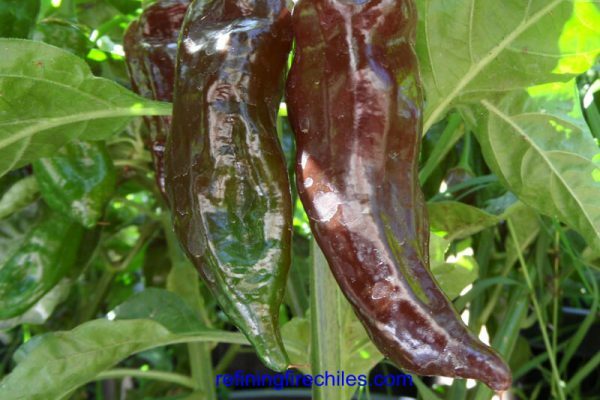 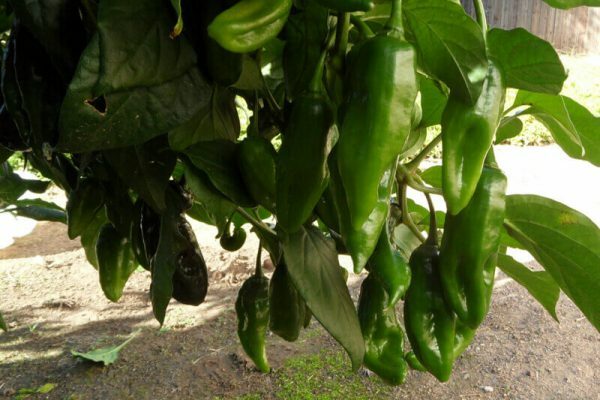 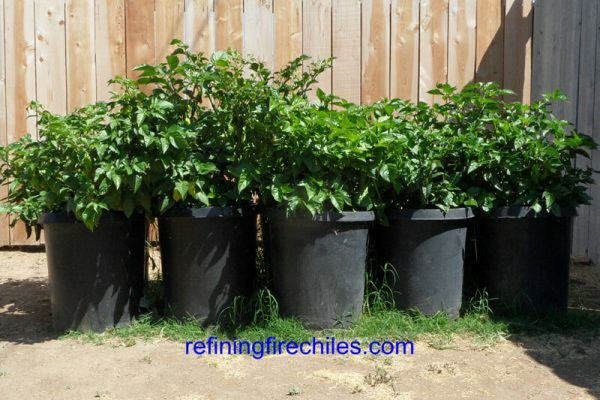 Plant is a heavy producer of multiple peppers, so much so you might have to stake it to keep branches from breaking! 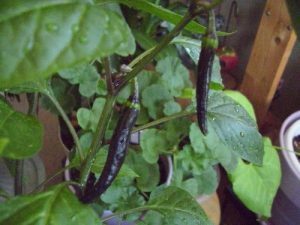 Flavor is rich almost raisin like. 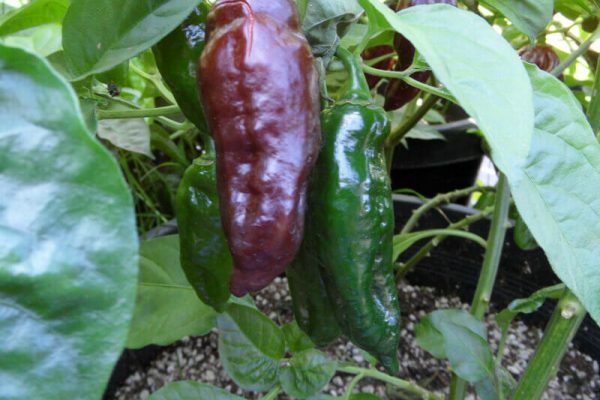 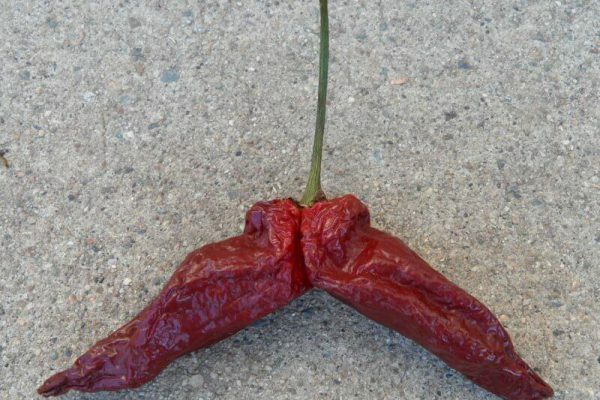 What this pepper lacks in heat it more than makes up for with production and flavor!